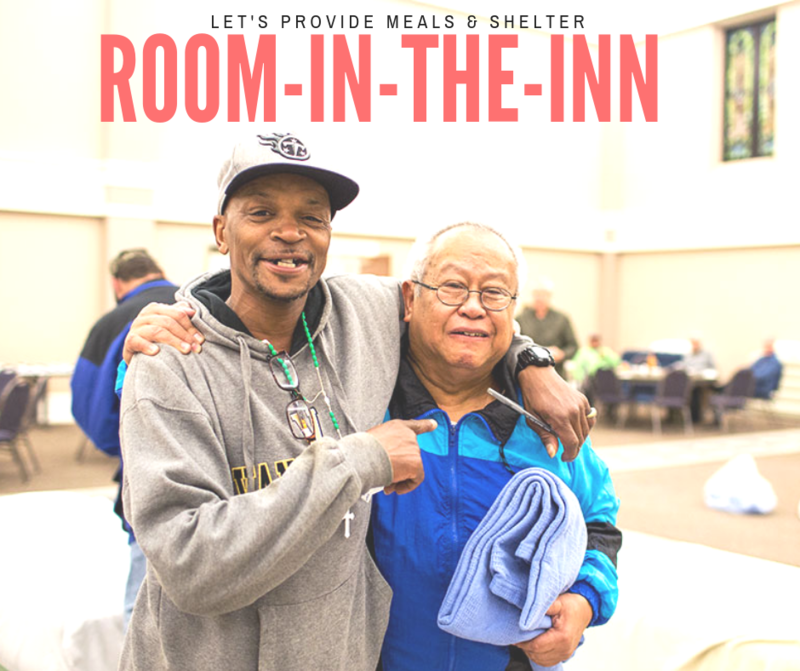 Room-in-the-Inn is a program where homeless neighbors are provided with meals and shelter from December 1st thru March 31st in churches, houses of faith, universities, and YMCA’s. SouthPark Church has been involved in this program for a long time, and now we continue to participate by partnering with St. Andrew's UMC. SouthParkChurch will be responsible for RITI at St. Andrews on the 1st Thursday of each month from Dec. thru March. Twelve men are brought to the church on a Thursday between 5:30 and 6:00pm. They are given dinner, allowed to shower, and spend the rest of the evening watching TV, playing games, or sleeping. On Friday morning, the men rise early and eat breakfast before being taken to the Transit Center uptown. They receive a bag lunch before they leave. It takes many people each night to host RITI. It is extremely rewarding to interact with the neighbors and a wonderful way to deepen relationships with others from SouthPark Church. Ready to make a difference in the life of new friends? Sign-up at the link below! Have a question? Connect with Debby Coles.